That's got to be a pretty tight squeeze in there just to remove that pulley. Or do you drop the back of the cradle to make more room? 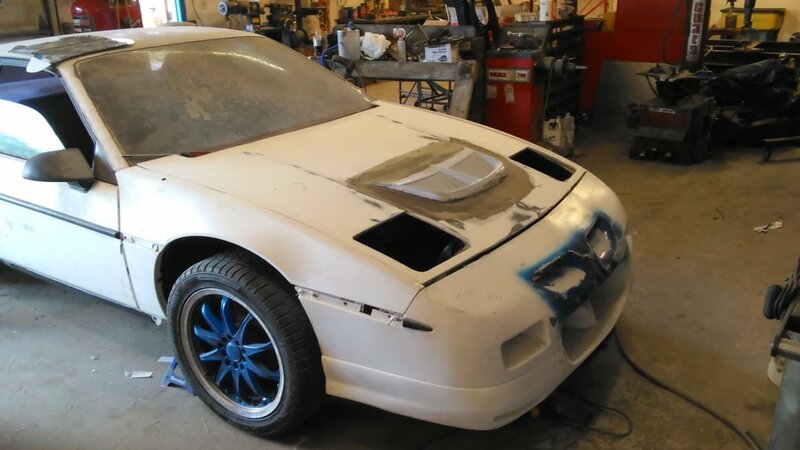 well i have been working on the front end body work and it looks like i am going to have to modify the fiberglass front bumper to fit right . 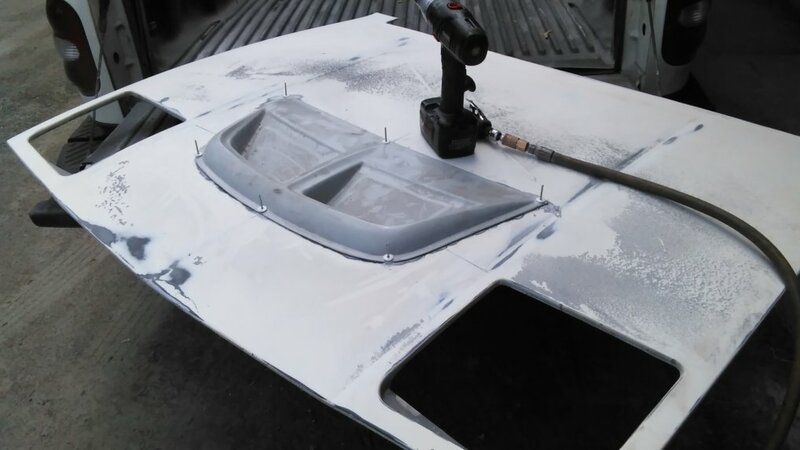 it just not the right contour between the bumper and hood it is way to close in the middle in fact it is overlapping to where it is about perfect out at the edges but it is also to low in the middle compared to the hood so it is going to take some fiddling around to get it right . Mark, it was nice to meet you today. Thank you for helping my dad and I load the car on the trailer. Super enjoyed checking out your ride. Seeing pictures doesn't do it justice ! Just super cool what you've done and hope to one day join you in a caravan to Carlisle ! Yeah... Four years and 29 pages of this thread and you still do not have a functional car? Wow that is slooooow (emphasis on slow). I really hope you're just good-naturedly teasing engine man. Now this Ticks ME off ^^^^^ up there. 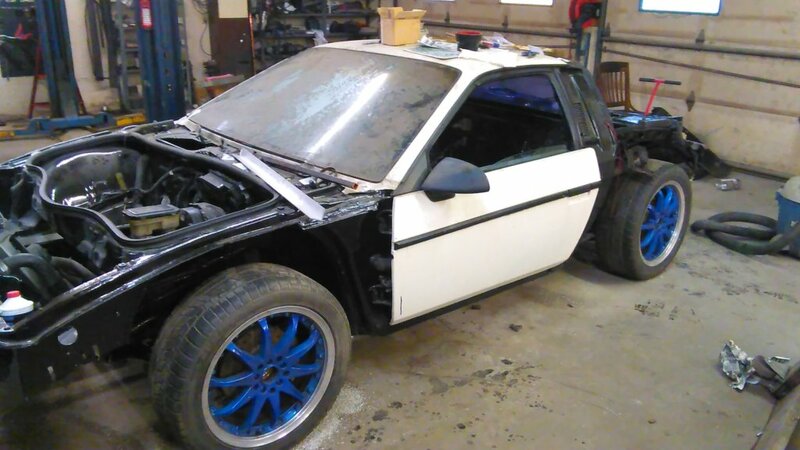 I don't know many Fiero "builders" in person but on this site I believe we come together on many levels. You can BAG anybody for a timeline on there build. BUT , you may never know the man behind it, and there drive and dedication to it. People come to my shop sometimes and joke about the timeline but once they see it then they understand it. Thou MANY may never even think of tackling something on the scales that we do. 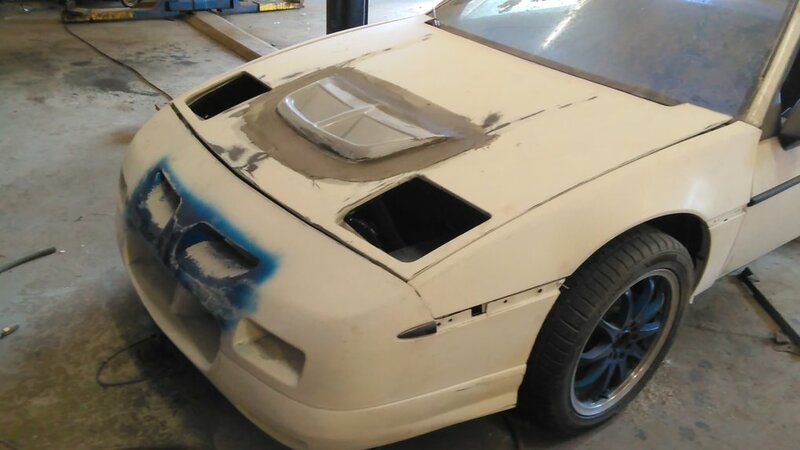 Anyone can just buy a car , and that's that......but when you build it.......and drive it, tweek it, and make it something else.....now thats a rare bread of mechanic. What Mark is doing is not a project for the faint, its something that takes the Biggest Balls, just to start on a project like that, and if you could see the love in his eyes and hands when he talks about it or anyone else that is building there dream, then it all comes together. Sometimes its not the destination, were getting to , its working with our hands and figuring it out , learning, and dealing with all sorts of problems, roadblocks , and frustrations. and the little victorys within them. Have a GREAT 4th everyone !! 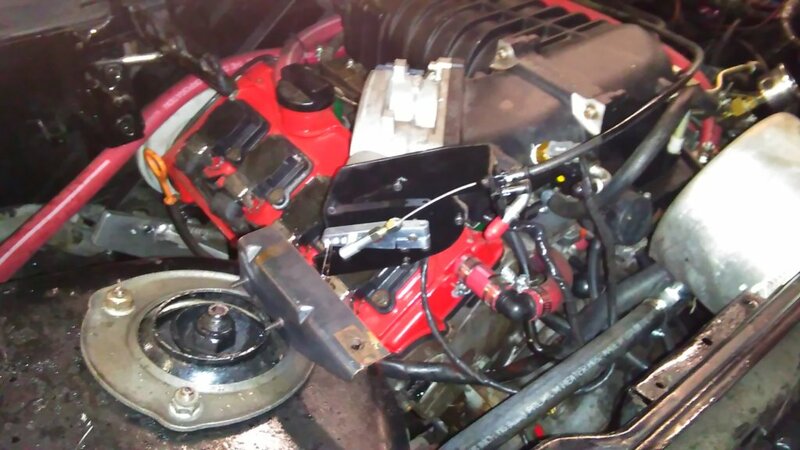 Years ago, I never thought I would find myself sticking up for engine man, because he had a thread going about every possible engine and transmission combo out there, and when he posted this thread, I said "yeah right..." but he did it, build a running and driving car, that sounds pretty mean I might add, and continues to make improvements that most would never attempt. How many longitudinal manual trans supercharged DOHC V8 swaps without a stretch are out there? oh yeah, one, this one. to engine man, this may only be my second or so post in your thread, but I've been watching, keep it up. I have to wonder if the person who made the "slow" comment even read the entire thread, because if he had, he would realize that Mark has had this car running and driving. He's only disassembled and reassembled to make it even better. Thanks 1shot and how is your project shaping up anything new? It's pretty hard to get much done down here in the summer. Gets extremely hot in my garage, up in the low 90's, so my time in the garage is limited to a few hours early in the morning. I plan to remedy that situation this coming winter with some insulation. Then maybe I can use the air conditioner I installed a couple of months ago. I installed new hinge pins today. Next I'm going to change the roofline to better suit the style I'm after. I've been keeping an eye on this thread and it's been really cool watching the progress and watching you problem solve. I appreciate you sharing your project with us. I saw you adapted the Porsche shift linkage. 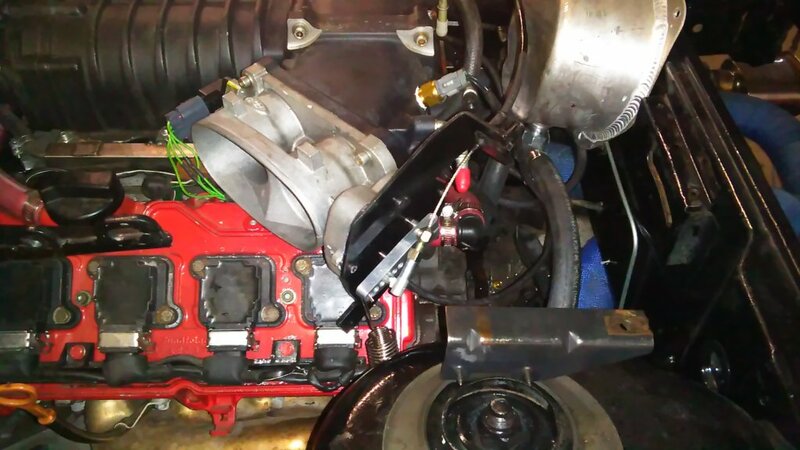 Any chance you have pictures of what the original linkage looked like on the trans? That sounds like a great color, can't wait to see what it looks like. Dang....all I'm getting is X's and no pictures. 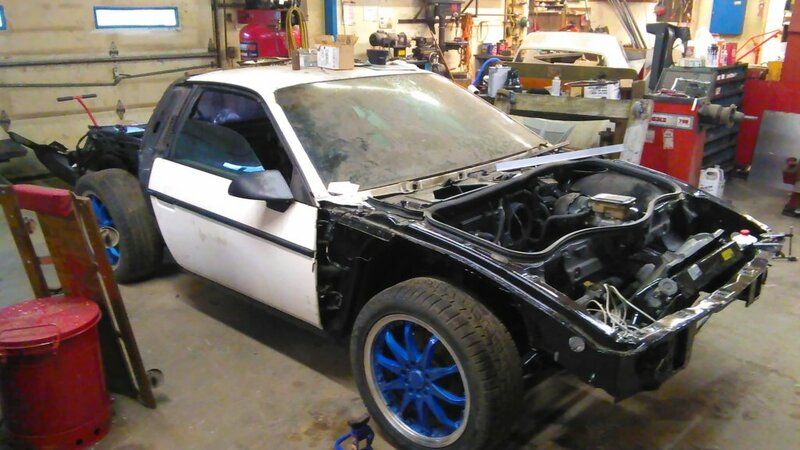 My 87 is painted a sunrise yellow. It was a little on the bright side when I first painted it, but it kind of grows on you after time.